The only way to find comfort from an injured toe is with rest and pain relievers. Toe pain may be caused by a broken toe. Gout is a common cause of big toe pain. Big toe pain is often caused by a bunion. The most common causes of big toe pain are gout, arthritis, ingrown toenail, and bunions. In addition, corns, a broken toe, and toe infection can also cause big toe pain. 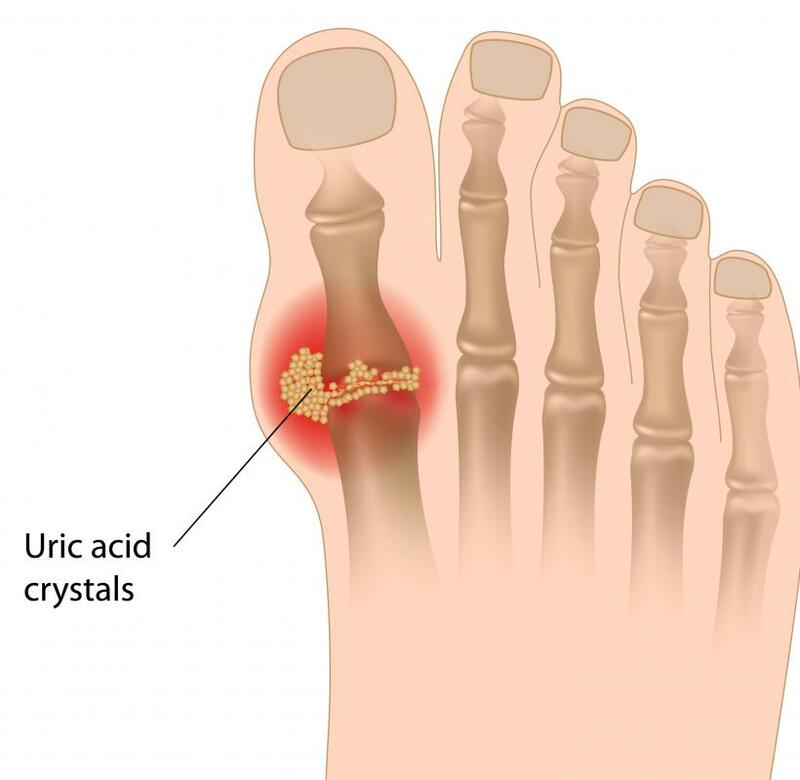 Gout is a condition where high levels of uric acid accumulate in the bloodstream, causing deposits or crystals to form, leading to toe pain. It is also referred to as gouty arthritis, because symptoms include joint pain, redness, and inflammation. Treatment for gout and subsequent big toe pain include medications to reduce uric acid, therapeutic diet, and anti-inflammatory medications. An ingrown toenail can cause extreme pain, which frequently causes the individual to seek treatment from a podiatrist, who can treat the condition. In addition, an ingrown toenail can develop an infection, and in these instances, antibiotics might be necessary. Typically, after the infection clears up, pain usually subsides. 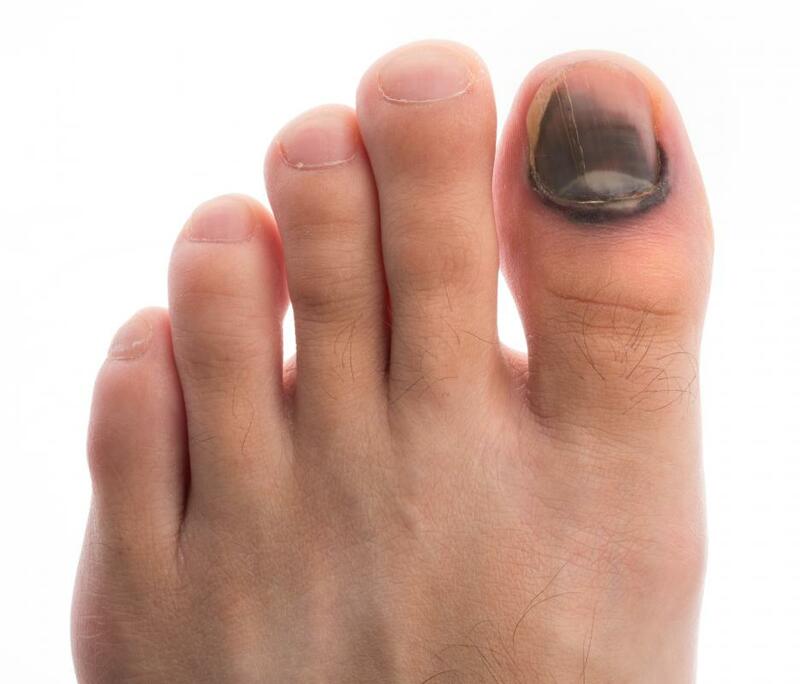 Big toe pain can also originate from a broken toe. Usually, when the big toe is injured or broken, the only treatment is rest and pain relievers. 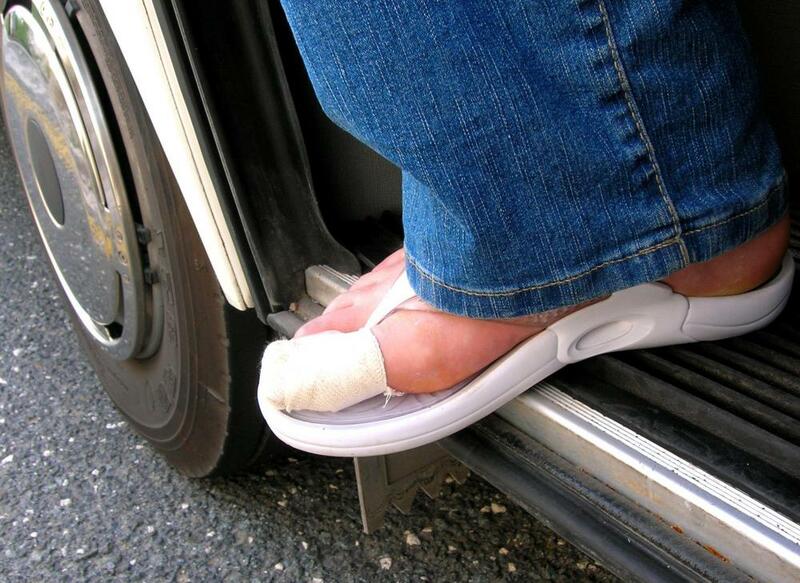 Although the toe is seldom put in a cast, as with other bone breaks, it is frequently splinted to keep it immobilized. Resting and icing the toe in combination with analgesics generally reduces pain significantly. When pain is the result of bunions, surgery is sometimes necessary. Bunion pain can cause an aching in the big toe or it can cause throbbing, severe pain. Surgery to correct the bunion is typically an outpatient procedure, but recovery time can be significant. In addition, the patient is required to wear a walking shoe while he recovers, and needs to monitor the surgical site for signs of infection, such as drainage, redness, and swelling. Arthritis is a common cause of big toe pain, and usually is an effect of aging or an old injury. The pain, inflammation, and decreased mobility can make wearing shoes a challenge. Simple remedies such as resting the foot, applying cold packs and taking anti-inflammatory medications are generally very effective in reducing symptoms. For those who cannot tolerate the side effects of anti-inflammatory medications such as stomach upset, alternative pain relief such as acetaminophen can provide relief. Although effective in treating minor pain, acetaminophen based medications do not relieve the inflammation, which is a common symptom of arthritic conditions. How do I Choose the Best Hammer Toe Treatment? @Scrbblchick -- I'm not surprised. I got the same advice with similar results! My feet were killing me and my podiatrist basically asked me if I was an idiot that I didn't know what really high heels would do to my feet. I thought since I wasn't on my feet that much anyway, I'd be OK. but he pooh-poohed that notion. Kind of made me mad at first, and then I took his advice, and it's been wonderful. My legs may not look a mile long, but my feet, ankles and knees feel *so* much better! I had a hammer toe from my shoes pinching, and that's resolved too, since I started wearing shoes that are good for my feet. I just wish I could go barefoot all the time. My feet would love it. One of my co-workers was having intense big toe pain. Turns out, she had a massive bunion on her big toes, and her doctor said it was from wearing mile-high heels. He told her to stop wearing the heels, and the bunions would probably resolve themselves, and she would feel better. She actually followed the doctor's advice, and said not only did her feet feel better, but her neck and shoulders did too, which her doctor said he expected, since she wasn't walking with her body canted forward and her neck at an angle. It's amazing what ditching those heels did for her general well-being.